Pack Pro Technologies is a full service packaging equipment distributor specializing in Vertical Form Fill and Seal Bag Making Machines. With service and sales available internationally, our mission is to offer clients customized solutions based on their individual needs while providing the latest in packaging equipment technology. Pack Pro Technologies offer a dynamic line of new packaging equipment that provides reliability and exceptional performance at a reasonable cost. We are also able to upgrade your existing machines to the most current electronics. Because of our in-depth understanding of our clients business, our team of professionals can effectively assist your business in purchasing new or re-furbished equipment as well as offer project consultation, machine installation, maintenance and personnel training. We source a large selection of spare parts that we will ship to your site up until 7:00 pm in the evening and our customers enjoy complimentary 24 Hour Telephone Support. 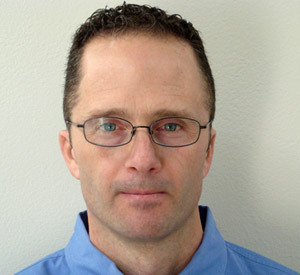 Jarrett Chaffee, founding president of Pack Pro Technologies is a 20 year veteran of the packaging industry whose mission when forming PPT was to know each of his customers and their applications individually and to offer the highest level of personalized customer service support and knowledge. Jarrett built Pack Pro Technologies based on the ideal that the “customer comes first”, a standard that each current team member exemplifies. Jarrett and his team of service engineers have a keen knowledge of many different types of manufacturing equipment and electronics. While working for a co-packing company in the early 1990s, I gained an understanding of what it means to be “the customer”. I then moved on to the manufacturing arena and established myself in many different industries including fresh produce, snack foods, confections, pet foods, pharmaceuticals, meat amp; poultry, dairy and IQF (frozen foods). I have strategically assisted customers in evaluating their needs and have been instrumental in the purchase of new and pre-owned equipment for new projects as well as assisting in the design of complete production lines. I am factory trained on Sandiacre and Line Equipment bag makers.